The murder of ‪Taylor Force‬ in Israel earlier this month reminded me of the murder of Matthew Eisenfeld and Sara Duker 20 years ago. Here’s a reflection in HuffPost. 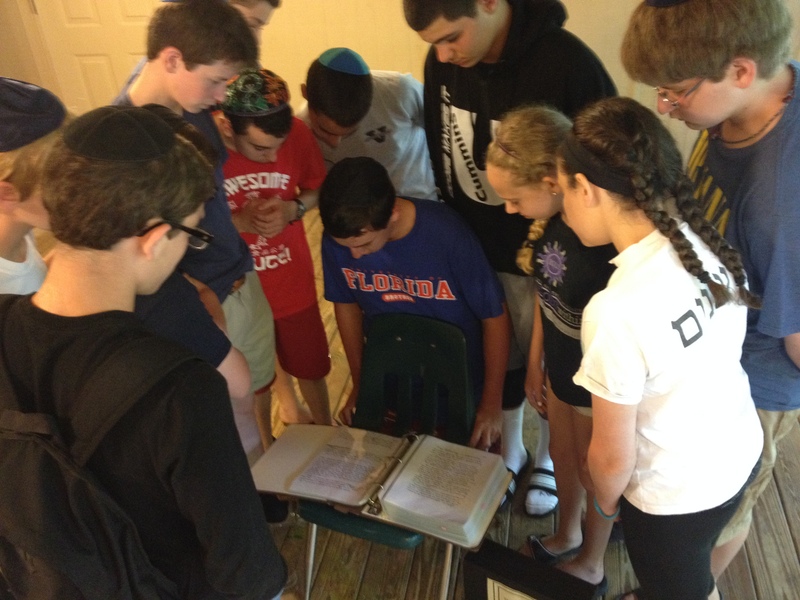 Campers at Ramah Darom examine the Matthew Eisenfeld and Sara Duker Memorial Volume, June, 2015. As Tisha B’Av approaches, my late friends, Matthew Eisenfeld and Sara Duker, of blessed memory, will be very much on my minds. Twenty years ago this fall, Matt and I began our second year of JTS Rabbinical School at the Schechter Institute in Jerusalem. Sara came to Israel for the year to work in a biology lab at Hebrew University and to be near Matt as their loving courtship was continuing to blossom. They died on February 25, 1996, in a brutal suicide bomb attack in Jerusalem. Matt and Sara’s lives, their tragic death and their family’s quest for justice are profiled with great care in Mike Kelly’s acclaimed book, The Bus on Jaffa Road. In 1997, one year after their death, the Jewish Theological Seminary dedicated a Beit Midrash in Matt and Sara’s memory. In conjunction with that ceremony, I compiled a scrapbook of many of Matt and Sara’s writings that their parents shared with me. The selections include handwritten journal entries, essays, sermons and scholarly papers, in which they each express passion for Jewish life and Israel. 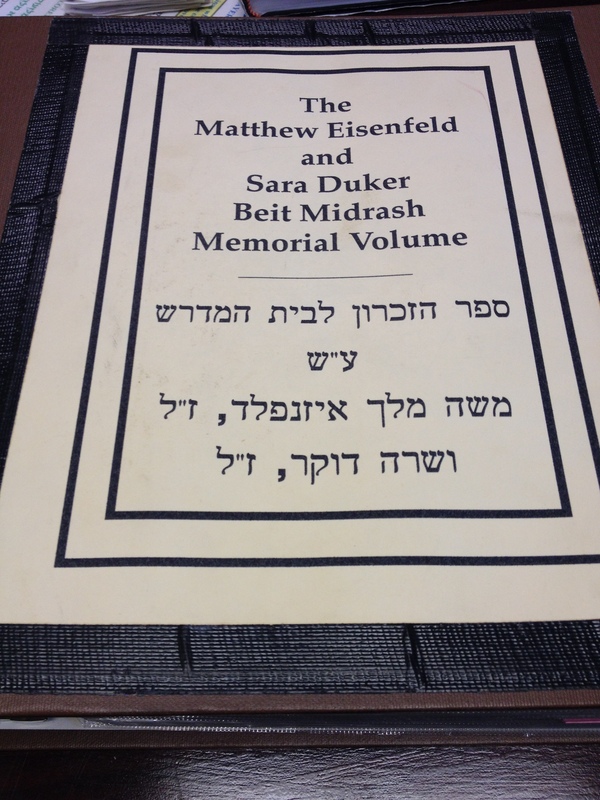 Since 1997, the Matthew Eisenfeld and Sara Duker Beit Midrash Memorial Volume has been on display and available for perusal at the JTS Beit Midrash. The Matthew Eisenfeld and Sara Duker Memorial Volume, a collection of their writings, on display in the JTS Beit Midrash. As the twentieth anniversary of Matt and Sara’s death approaches, I’ve undertaken to transcribe, edit and publish the Memorial Volume so that the general public may read Matt and Sara’s writings and experience the depth of their souls. They might not be with us physically, but their spirit lives on. This collection is scheduled to be published in early 2016 under the title: Love Finer Than Wine: The Writings of Matthew Eisenfeld and Sara Duker. 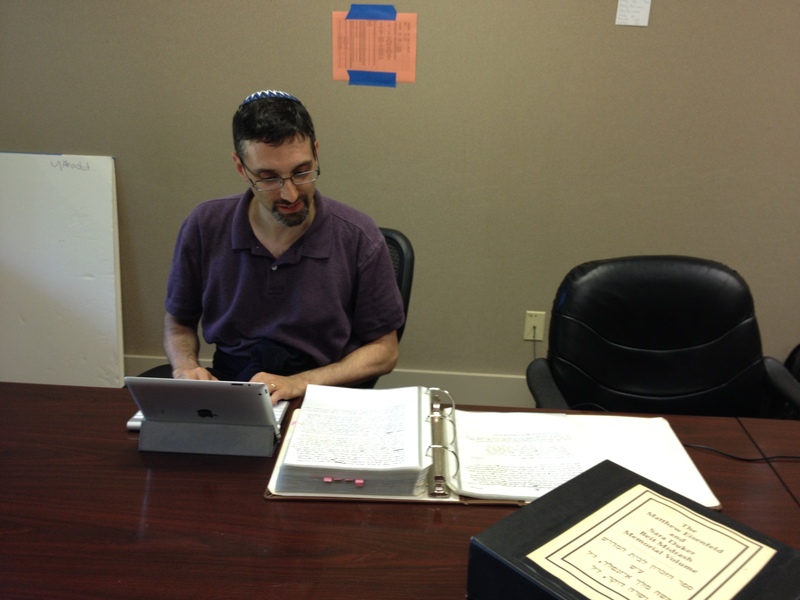 Rabbi Ed Bernstein transcribing handwritten sections of Memorial Volume (Photo by Rabbi Hillel Norry at Ramah Darom, June, 2015). Tisha B’Av is a time when the Jewish community reflects on Israel’s physical and spiritual security. Like so many times previously, both seem precarious now. And yet, we continue to persevere with great hope that the future will be better. Matt and Sara each recognized the challenges faced by Israel and the Jewish people, both external threats and threats from within resulting from Jewish infighting. From their collected writings, here are two selections that seem appropriate for this season of reflection on the state of our people. May Matt and Sara’s memories be for a blessing, and may their enduring spirit inspire us all to create the better, more peaceful world that they sought. Is Israel unique? Does it set an international standard of care for its citizens and hold a moral banner even higher than most democracies? Are those Jews who founded and live in the State stronger and more Jewish? The answers seem easy to a Jewishly active college student, until she is confronted with “ISRAEL: THE HIJACK STATE” emblazoned on a pamphlet being distributed in the student center by a socialist group. A young man with great visions of social justice claims that Israel is nothing more than a capitalist, imperialist arm of the most corrupt elements of the western world. It has greedily expropriated the land of the natives, and continues to exploit the laboring class, he says. Other students find their assumptions about the sacredness of their nation challenged by mainstream political correctness–the best liberals have taken up the cause of Palestinian rights, and Zionism is dismissed as a glorified racism. Even students who tend to be removed from the campus political arena (with the hyperbole it often engenders), can’t help but be aware of the newspapers, which tell us that Israel is far from perfect. Political parties experience corruption there, too. Extremism characterizes political debate, with deep [divisions] between the religious and secular Jews. And, no matter what our national and religious beliefs are regarding the West Bank and Gaza, there are few Jews who do not experience at least some discomfort with Israeli politics toward the Palestinian Arabs. The temptation arises to distance oneself from such a contentious state–to deny one’s Jewish connections (or apologize for them), or to claim an American Jewish ideology separate from Israeli dilemmas. It often seems tempting for us Americans to pursue Judaism as we think best, and to leave difficult ideological decisions of defending the Jewish State to Israelis. How are our Israeli peers faring? A young Israeli man in New York, recently released from his three-year tour of duty in the [Israeli] army, used to tell anyone who asked him that he did not believe in God. He believed in his people and the horrors that have happened to them. He went to the army, he said, so that a Holocaust, which decimated his parents’ generation, would not do the same to his. An American olah [immigrant to Israel], a tour guide in Yad Vashem, related incidents during her presentation of the required tour to Israeli soldiers being inducted to the army. She says that she hears frequent grumbles from her mostly secular groups when they are addressed with the Holocaust. 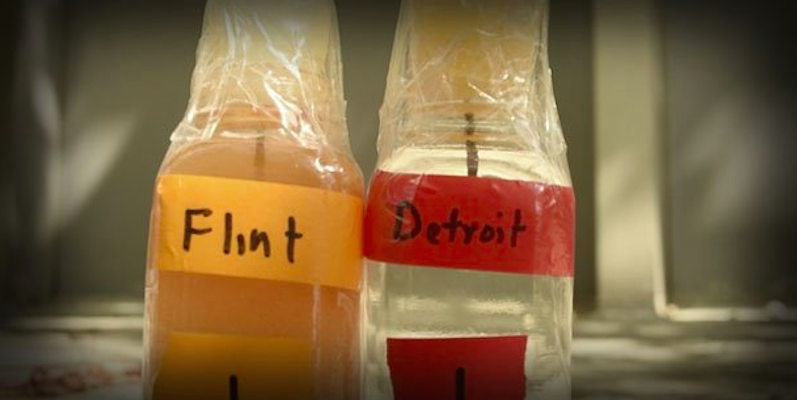 “This doesn’t affect us,” they say. “When are we going to get over it and move on?” If this group–at the forefront of Israel’s material progress and already uninterested in the religious nature of its country–finds that even national tragedies are losing their power to motivate and unify, what then will inspire the next generation of Israeli Jews to continue to fulfill the heavy demands of their people? Until now, we have taken for granted that Israel would “put the kippah on our heads,” that Israel would do much of the work of shaping Jewish identity. As Israel continually struggles with its own identity, it is important to be reminded of the essence of Heschel’s statement: “The State of Israel is a spiritual revolution, not a one-time event, but an ongoing revolution.” The key ideas are “spiritual” and “ongoing.” A spiritual revolution goes beyond the national security and material support Israel was built to provide to Jews, to look at a larger raison d’être. We pour forth catch phrases about history, martyrdom, God’s land and community, but how often do we think carefully about what each of these really means? Why is Jewish community so important in our time? Is our history unique? Do we believe that we are God’s chosen people and Israel is a chosen land? What implications does this have for our behavior–not just on a large political scale, but for the everyday life of a Jew? How does this inform our treatment of one another? If we do not believe in God as a presence in Jewish history, then what other ideologies do we have to guide us? What is the role of Diaspora Jewry? What can we contribute beyond our yearly checks to UJA? This is not to suggest that we can automatically provide deep and meaningful answers. Each reconsideration of old questions constitutes a revolution, by recreating and renewing our visions of Israel. This process, of course, must be ongoing. We face a startling sense of inadequacy when our notions, unchallenged, become irrelevant in the face of new situations. The effort of building a physical home and the cooperation it required was a communal, spiritual process for the pioneers, but we lacking that same urgent sense of need, soon find that the tangible construction is not enough to answer the spiritual questions of this generation. We have not come into full national self-awareness. And, as with any other process of development, disuse of spiritual sense causes it to erode. In the end, Israel will not guarantee our Judaism until we give the labor of our hands as well as our hearts and minds to guaranteeing Israel’s Judaism. Reflections on the Assassination of Yitzchak Rabin by Matthew Eisenfeld in His Journal. The night before last, יצחק רבין [Yithak Rabin] was killed by a Jewish assassin who believed himself to be serving the Jewish people. Rabin had been a general who had fought in Israel’s wars and died as a man who worked tirelessly for peace. His accomplishments among others are a peace treaty with Jordan and a formation of an autonomous Palestinian state in which Yasser Arafat, a former enemy, became an ally. I admired Yitzhak Rabin and had confidence in the Israeli government because of him. I feel like the country is in disarray at this point because nobody can really fill his shoes. Or worse: “Rabin should not be allowed burial in a Jewish cemetery because he was a traitor.” They just don’t understand–the Prime Minister has been killed. Will this country ever be the same again? In the בית מדרש [Beit Midrash] yesterday, the school tried to conduct classes as usual, but we students voted otherwise with our feet. We said תהילים [Tehillim/Psalms], sang dirges, cried and listened to a הספד [Hesped, eulogy]. I am subdued, sleepy and feel lousy. My nose keeps running and I’ve got a canker sore at the place where my tongue connects to the bottom of my mouth. I’m bothered by cigarette smoke and the fumes from the candles which are lit in the crowds that gather to walk quietly and cry. Today I will try to walk in the לוויה [levayah/funeral procession] and watch the funeral speakers on TV. I want to hear the nations of the world speak and pay tribute to יצחק רבין [Yithak Rabin]. I want Israelis to understand whom they’ve lost.